In the popular imagination, offices are places of boredom and drudgery. You clock in, sit at your desk, maybe talk to your colleagues about the TV show everyone’s watching, sit back at your desk, and clock out. Thing is, offices don’t have to be like that. They can be places where people collaborate on big, innovative ideas. More and more companies are realising this and, as a result, are throwing out their cubicle farms and creating spaces designed to spark creativity and imagination. Some companies have done this incredibly well. Here are a few of them. When Steve Jobs acquired Pixar Animation Studios and became its CEO, he knew he wanted to leave a lasting legacy at the company. While his early years were spent trying to keep the company afloat, in 1999 he finally got achieve his goal with brand new headquarters. Opened in 1999, the space was a massive break from the previous Pixar offices, which housed computer scientists in one building, animators in a second building, and executives and editors in a third. 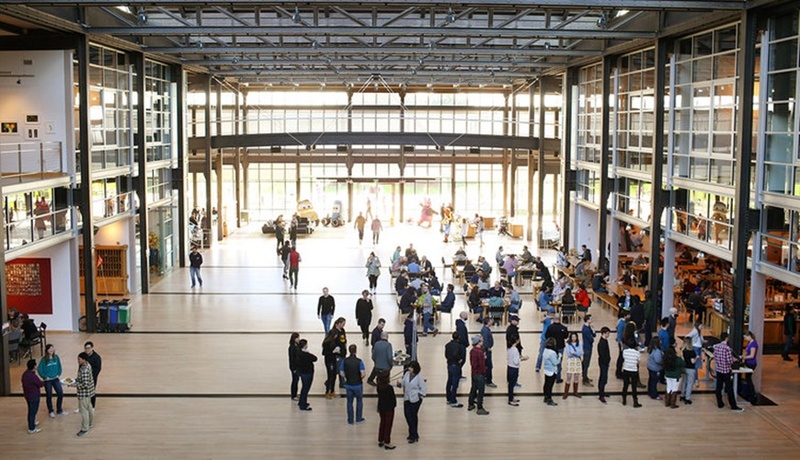 Key to achieving that aim was a central atrium housing a reception, employee mailboxes, cafe, foosball, fitness centre, two 40-seat viewing rooms, and a large theatre – and was planned by Jobs to house the campus’ only restrooms. If Pixar’s headquarters represented Jobs’ bid to leave a lasting mark on the company, then Apple’s new headquarters represent his bid to leave a lasting mark on the planet. The physical embodiment of his ideals, Apple Park sits like a giant UFO on the Cupertino landscape. 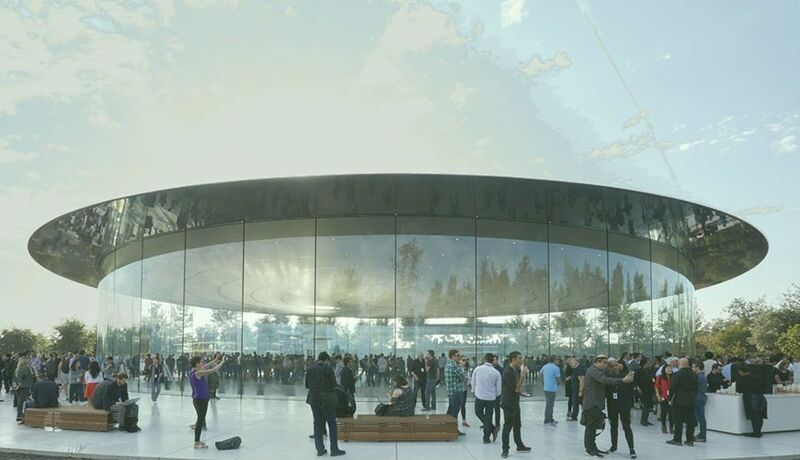 Designed to house some 12 000 Apple employees, the building is purposefully democratic. Housing so many workers in one place will, inevitably, result in people from different teams interacting with each other, but Jobs’ vision takes things a step further. The building is divided into modular sections, called pods, to be used for office work, teamwork and social activities. Everyone, from the CEO to the lowliest interns, will work in these pods, aiding the porous spread of ideas. 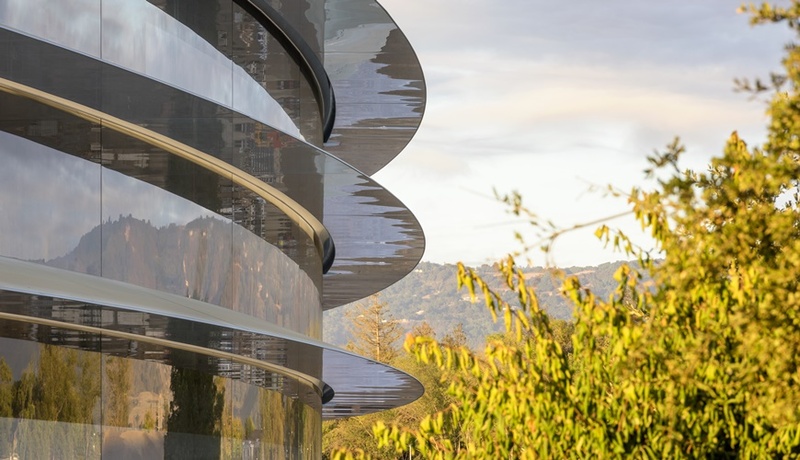 Given Jobs’ enthusiasm for long walking meetings, it should hardly be surprising that there’s a large park at the centre of Apple Park, or that its surrounded by green space. Of course, not every company gets to build new headquarters from scratch. Instead, they have to try and find ways to innovate in the spaces available to them. Take Google, for instance. The internet giant’s New York offices are embedded in an already established building. It has, however, managed to put its own spin on the space. Ladder chutes between floors mean that employees don’t have to wait for slow lifts when they want to come to a colleague with an idea. Another hallmark of the offices is one that features in Google offices around the world. No employee is ever more than 150 feet from food — either a restaurant, a large cafeteria, or a micro-kitchen. This not only ensures that people stay energised, it also encourages encounters between employees, fostering collaborative innovation. 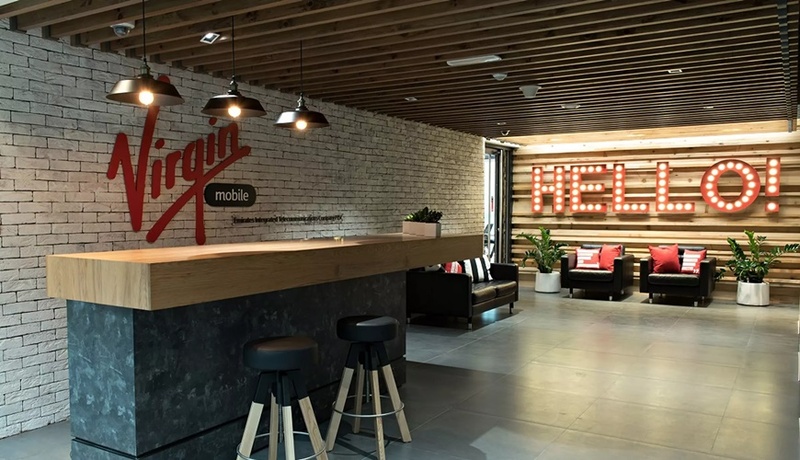 The various companies within the Virgin group all have unique takes on office design, but for the purposes of this article, we’d like to focus on Virgin Mobile’s MENA headquarters in Dubai. Located in the Dubai Design District, the office space is designed to feature relaxed intercommunication between team members and visitors alike. At its heart is a canteen which brings employees together. It is set-up between private micro meeting room, benches for lunch and chats, pool table for some fun time and high benches with bar tables for a more informal seating. The smallest of the offices on this list, the Virgin Mobile offices are also a reminder that authenticity is key to innovation. According to a Virgin blog about the space, the “aim was to capture the casual and creative vibe of the Virgin Mobile brand and give it a trendy and young look, while not affecting the functionality of the space for its 80-plus staff”. 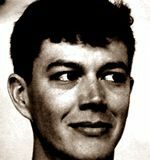 While innovation frequently has its genesis in moments of collaboration, it often only really takes off when the idea’s had a little time to settle in someone’s head. In recent history, companies have tended to focus on the former, forgetting about the latter. Fortunately, that’s starting to change, with many companies now including areas for both collaboration and quiet isolation in their office spaces. Audio equipment giant Skullcandy has taken things a step further in its Zurich offices. There, desks can be configured to work individually or collaboratively, fitting together like puzzle pieces. While much of the space is open-plan, the few enclosed spaces are easily adaptable and can be used for anything from conference rooms to product showcases. As we learn more about the way people work, companies will continue to find new ways to encourage innovation among their employees. While that might not always include office innovation (at least not in the physical sense), it will for some time to come. Quite what that means will be fascinating to see. One thing’s clear though: the cubicle farm will soon be nothing but a distant memory.